Exploring the Manawatu Gorge tracks has to be at the top of the list of ‘must-do’ activities in the Manawatu region. This photo was taken by Alistair Thom of Atom Images at Sentinel Lookout which is halfway along the Manawatu Gorge Track. 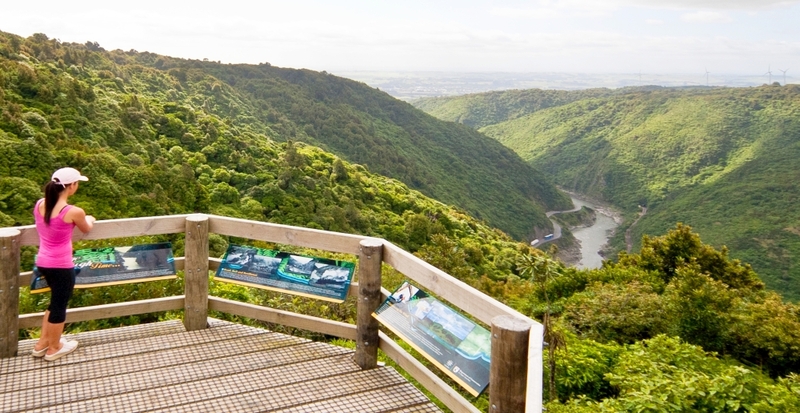 The shorter Tawa Loop Walk and the full length Manawatu Gorge Track are on offer as part of the Manawatu Walking Festival coming up in February – March 2014. The festival has walks for all ages and fitness levels, hosted by an array of guides – from historians through to storytellers, nature experts, experienced walkers and photographers – who will share their knowledge to help enhance your walking experience. Visit The Manawatu Walking Festival website to find out more.